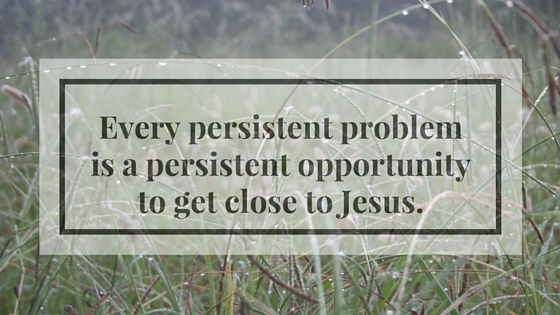 How well are you handling that persistent problem? You know, that thing in your life that just won’t go away. It’s that persistent problem that is always present. This nagging problem might be related to a relationship, finances, illness, grief. This problem is that one thing that, if it would just go away, life would be so much better. You have prayed for deliverance – for days, weeks, maybe even years. But it feels like God simply isn’t answering you on this one. You believe God cares. You believe He is able. You believe He is good. But while this problem keeps sticking its ugly neck into your life? Trusting Him is just hard. You believe He is your Provider – but your need continues. You believe He is your Healer – yet the sickness lingers. You believe He is your Comforter – but the grief remains unbearable. 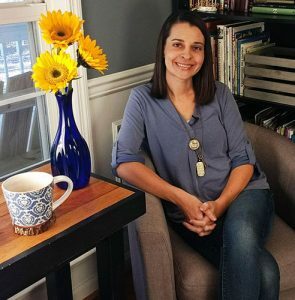 You believe He is your Restorer – yet relational division persists. 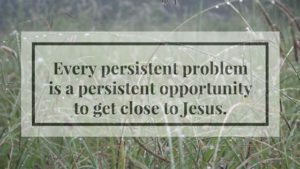 What is your persistent problem? Trials are not a surprise. We have been warned that trials will come, even after receiving eternal salvation. James had the audacity to say, “Consider it all joy, my brethren, when you encounter various trials.” (James 1:2) Why? Because the testing of your faith produces endurance. But right now? Today? In the midst of the pain? How can you endure it one more day? Jeremiah, the weeping prophet of the Old Testament, knew affliction and mourning. He has the answer you need right now. God wants you to pour out your heart and release your burdens. He wants you to tell Him what is going on. He already knows; He doesn’t need the information. He wants you to pour out your heart for your benefit. God wants you to create space to allow Him into your heart. When you pour out everything that is troubling you – the good, the bad, the ugly – you create space to receive from Him. It is like a full glass of water that does not have space to be filled with more. Your heart must be emptied in order to be filled. God wants you to get close in His presence. It is like sharing your struggles with your best friend. Openness brings intimacy. You can’t bare your heart without getting close. God wants you close. God wants to bear the burden for you. “Blessed be the Lord, who daily bears our burden.” (Psalm 68:19) God wants to bear your burden, but He is a gentleman and waits for you to choose to hand it over to Him. Maybe He will remove the situation and give you complete deliverance. But maybe He won’t. Even if the problem remains, He will release you from the oppressive weight of the situation. 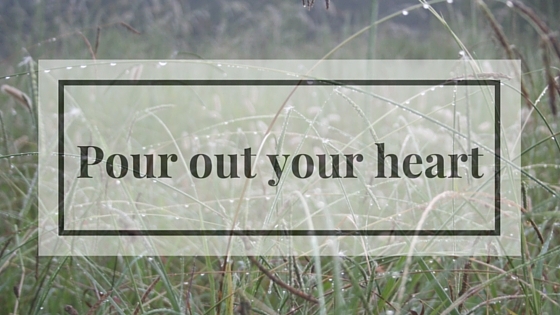 Pour out your heart to your Jesus. You will create space in your heart to receive from Him. You will enjoy being close to Jesus in His presence. You will allow Him to release you from the oppressive weight. Take a minute right now. Tell Him what is going on in your heart. That is probably not the verse you would print on a canvas, is it? Not exactly the hope-filled answer you want when life is just plain old tough. But it is so important. Yes, you are weak. That’s ok. Weakness reminds you to be dependent on Jesus. But weakness can create a barrier between you and Him. Those barriers must be removed so you can endure. Are you insecure? Overwhelmed? Exhausted? Efforts to be superwoman, defiantly continuing to push yourself, will be futile. God is not surprised by your weakness, so don’t be afraid to admit it. Be aware of the effect your weakness has on your heart. Have you grown angry? Bitter? Depressed? Weakness is not the problem, but it can convince you that God does not care. Has your weakness built a barrier between your heart and your God? Be honest with God about the barriers. Tear down those walls by continuing to pour out your heart. Angry? Tell Him. Depressed? Tell Him. Bitter? Jealous? Hurt? Weary? Tell Him. A father once corrected his young son for misbehavior. The child’s response? Anger. The child started to fight his father. It looked very similar to their play wrestling, but the father knew his son was really fighting him. There was no where else the father wanted his son to express that anger. Not alone in his room. Not alone outside. His father wanted him to pour out that anger in his presence. Because the father loves his son, he wanted him close. Satan wants these barriers to prevent you from getting close to Jesus. He wants to prevent you from receiving hope. He wants you to isolate yourself. But Jesus wants you close. He wants the barriers demolished. 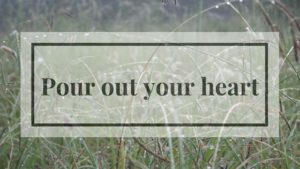 He wants to hear what is really going on in your heart. Don’t worry. God can handle it. Go ahead and acknowledge any barriers right now. This is an act of your will, not the response of your feelings. The problem tells you there is no hope. Truth says otherwise. Take your thoughts captive. Command them to believe Truth, not your feelings about the situation. 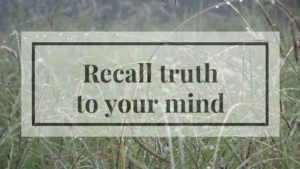 What is the truth you need to remember? This is the Truth of who God is. Print this on a canvas! Recall this truth to your mind. Every day. Every moment. Every time trouble seeks to drown you. God is good. His compassion is new every morning. He is faithful. You can endure that persistent problem. Pour out your heart to create space to receive hope from God’s Word. 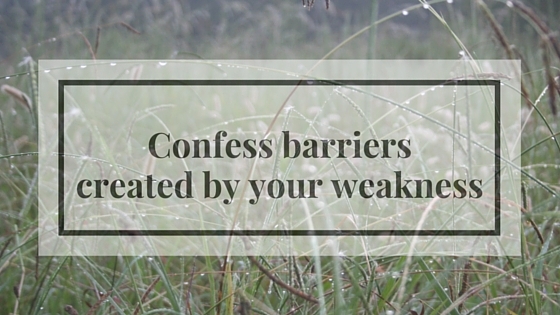 Be honest and confess the barriers that prevent you from getting close to Jesus. 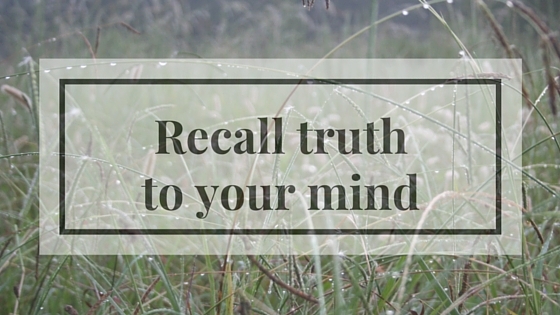 Command your thoughts to recall truth. You know the Truth: God is who He says He is. Get close to Him to have hope in the midst of the problem. Are you taking advantage of your opportunity today?